Alice Scesny Palmer served as director of the Cleveland Clinic Department of Social Work for more than 20 years. She supervised more than 75 health care professionals and served on many Cleveland Clinic task forces and committees, including Ethics, HIPAA Implementation and Geriatric Strategic Planning. A part-time faculty member at Cleveland State and Akron Universities, she also has served as adjunct faculty at Case Western Reserve University and Ursuline College. 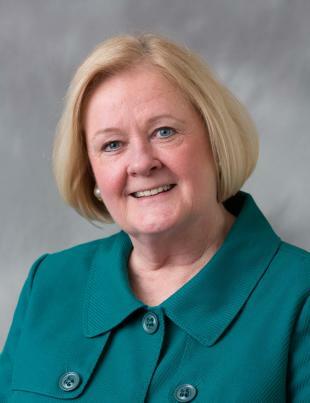 Her extensive leadership responsibilities included positions as president, national Board of Directors, of the Society for Social Work Leadership in Health Care and on the National Board of Directors for the Council on Social Work Education. A member of the Guidestone Ohio (formerly Berea Children's Home and Family Services) Board of Directors since 2007, she has also served in many additional volunteer leadership roles in the greater Cleveland community including United Way. She holds her master's degree in social work from Boston University and has presented throughout the country on social work leadership. She sees adolescents ages 16 and older and adults, specializing in mindfulness, pain and medical issues, traumatic job loss and victims of violence.